The classic summer gluten free salad gets extra crunch and flavor from a simple sprinkling of seeds. 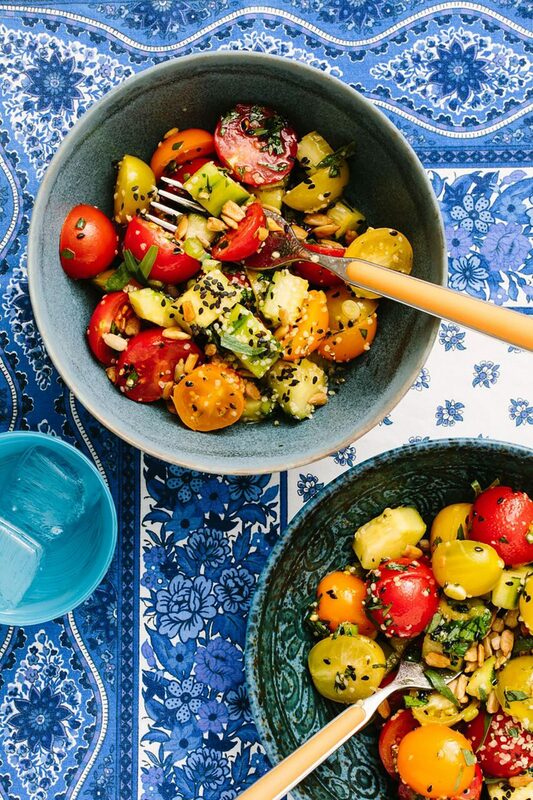 In a large mixing bowl, toss together the tomatoes, cucumber, green onions, 1 teaspoon salt, parsley, tarragon, sesame seeds, and hemp seeds. In a small bowl, whisk together the garlic, olive oil, and vinegar. Drizzle the dressing over the salad. Toss well, transfer to a serving bowl, top with sunflower seeds and a few grinds of pepper, and serve.